Engine is 1293cc with a hybrid T2 turbo. Injectors are 470cc Bosch EV6. MS1 V3 running HiRes10g code with Closed loop lambda and Boost control. ECU is also controlling the Pace charge cooler pump and sidepod mounted cooler rad fan. Coming soon is a big valve head, kent 266 cam (currently it runs the legacy of the previous N/A tune of a long duration 731) and more boost. What car is this? Pic of the whole car? - how does the car run? - do you run ign as well? - can I have a glimpse on your fuel and sparktables? I am in the middle of an upgrade at the moment with larger ported head, new shorter duration cam, stronger clutch etc. I will post more pics when I finish. The car drives very well indeed without any hesitations but there has been many map changes and lots of iterations of transient fuelling due to the wall wetting of the inlet manifold. The longer duration cam was a legacy of the original engine which causes the boost to arrive slightly later than I would like so I am changing it for a reduced overlap cam also with earlier inlet valve closing. I use Hires code as I have large injectors and it has better control at low pulse widths. This avoids the problem of chrage robbing associated with siamesed ported engines. I built and mapped the engine before the latest sequential code which would mean that you could use two injectors per port. I run wasted spark mapped ignition (from the MS box) with an EDIS module as well as closed loop fuel and boost control. I am using a single throttle body on a 1977 MGB, which also has two injectors. What is the diameter of your throttle body at the butterfly? My cam is a 270 Deg Crane, sold by Moss for MGBs many years ago. 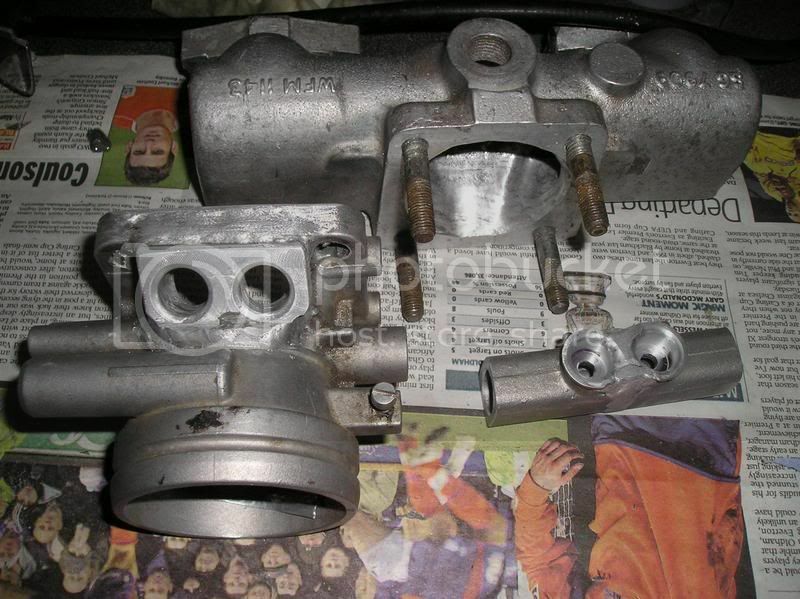 My throttle body is a fake Stromberg 97, used in threes on American V-8s with approximately 300 c.i.d. Yes, I realize you have a smaller displacement than my 1.8L MGB. 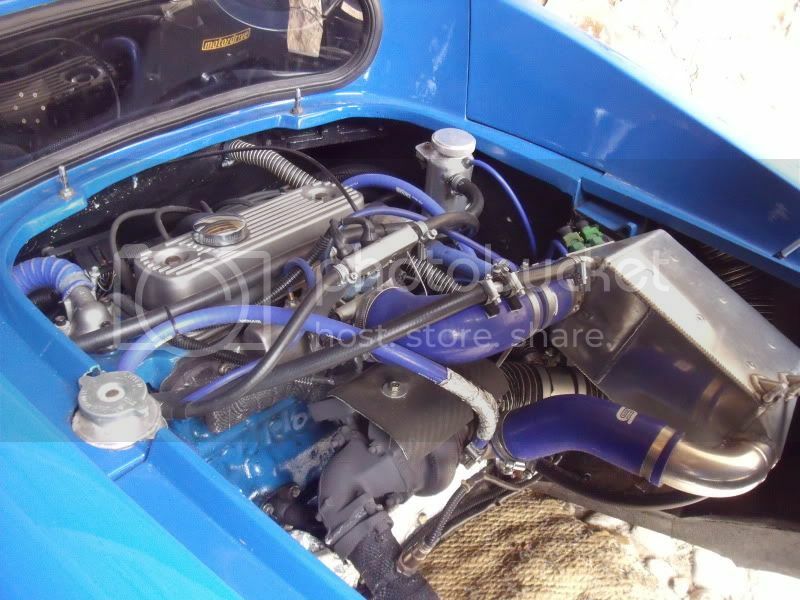 rogerntanner wrote: I am using a single throttle body on a 1977 MGB, which also has two injectors. Interestigly the engine needed completely remapping with the new cam, I guess the charge rejection especially at low speed was very different.